Good Sunday Evening!! Hope y’all had a lovely weekend and the weather at your end is good, cos me neck of the wood is freezing and windy!! And I mean -1 degree freezing cold!! The evidence can be seen in my photos…messy hair and weird positions. 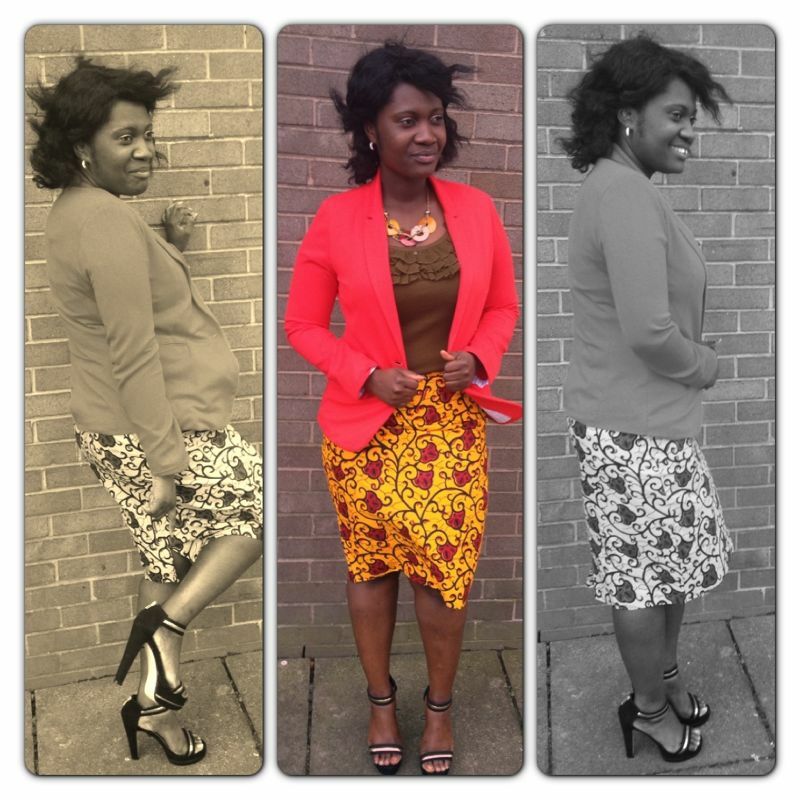 Anywhos y’all know it’s Sunday and church called for moi, hence the multi-coloured outfit. This ensemble was put together under a minute but i must say I like the combo. Sometimes I spend hours/days looking for something to wear but still end up with nothing. Weird huh? Its probably a ladies thang!! 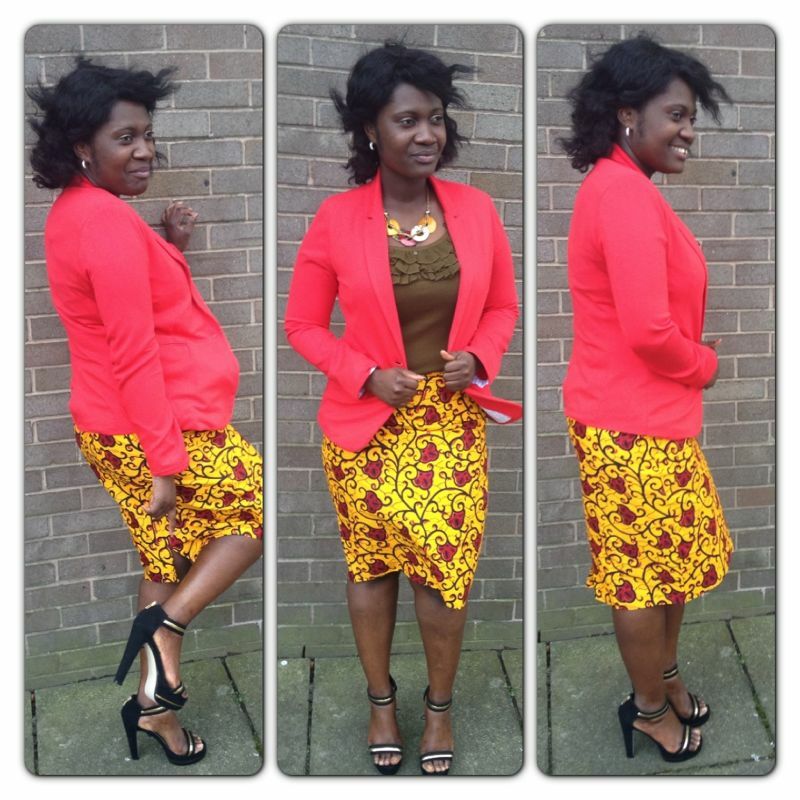 So unto my outfit. Simple as usual. 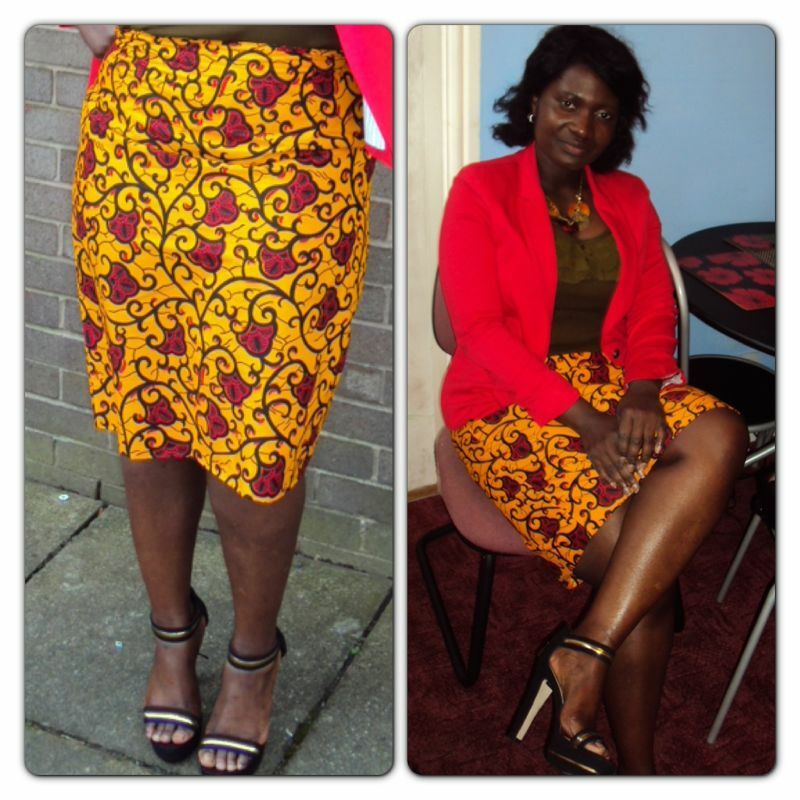 I paired my African tribal print skirt with a top from Primark, and a red blazer from Matalan. My sandals is from Primark as well. I had to get em when I spotted it, just cute! I’m a Mess! Blame it on the wind..
What do y’all think of my outfit apart from my messy self? Thanks for reading and visiting this blog. God richly bless you. Previous Post AFRICA MAGIC VIEWERS CHOICE AWARD..